A dark horror comedy shot in the style of a documentary, following three vampires who live in modern day New Zealand, and the various day to day issues they face. From the guys behind Flight of the Conchords (including one of them - Jemaine Clement) - this movie is an absolute pisser. 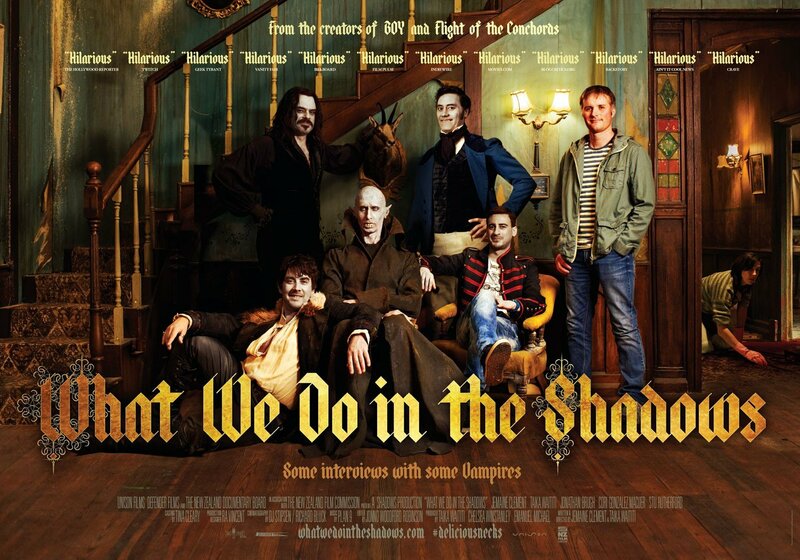 It takes the tried and true formula of portraying a somewhat realistic documentary, but taking the absolute piss out of all things vampire and werewolf - made all the better by the thick kiwi accents on practically every cast member. The basic story follows three vampires, Viago (a former Vampire nazi), Deacon (a 17th century dandy), and Vladislav - who is basically your Vlad the Impaler/Dracula type. There's also Petyr who lives in the basement and is thousands of old, and your oldschool ghoulish looking type vamp. The story follows their relationships with each other, going out on the town (and the problem of not being able to get into nightclubs unless invited), and dealing with Nick - whose only been a Vampire for several weeks and is still dealing with the changes. I don't really want to say too much more about it other than the movie is an absolute pisser in subtle ways that is really only enhanced by the fact they're kiwis. Special mention to the batfight.